For decades analysts and investors gauged the health of the world economy based on the value and amount of exports that originated from Northeast Asia. The region has been one of the most dynamic in the arena of trade for almost 2 generations. China by far the most important economy in the region, has seen a diminution of 6.4% in exports over the last year. South Korea is reporting a 8.1% decline over last year and Taiwan is expecting exports to shrink for the first time since 2009. Even in Japan which had earlier witnessed a turn around in exports, is now experiencing a decline as well. Northeastern Asia together supplies 23% of all the products that are shipped around the world. The leading economic powers in the region have become world class in what they manufacture and later export. These nations compliment each other quite well in the extremely competitive international export market. Taiwan known for prowess in computers and software together with South Korea became giants in the arena of electronics. 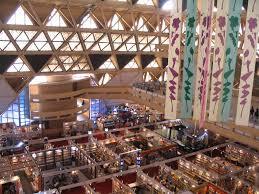 Japan continued to maintain its edge in high technology in various export fields. 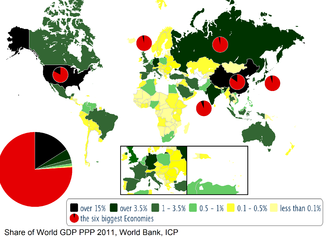 China became the workshop of the world, due to almost unlimited and an inexpensive labor force. 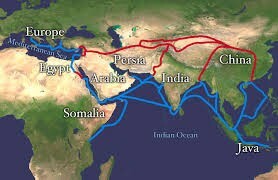 Trade within the region itself has changed dramatically. Increasingly China the largest economy in Asia and the 2nd largest in the world, is importing more goods from neighbors in the region. A new feature of the Chinese economy that is accelerating, would be the importation of complicated components, that are then assembled and put together for sale as a finished products from China. This explains why China has been able to increase the value of their exports by 6% annually in the last two years, as measured by United States Dollars (USD). This is despite slower growth in both Europe and the United States. Exports from South Korea and Taiwan in contrast have slowed to just 2% growth in the same period and in Japan there had been an actual decline of 6%. Part of this can be explained by the rally of the American dollar, beginning in the middle of 2014. Since international goods are measured using USD, a stronger dollar would make goods seems less valuable in the Asian export market. If one negates the exchange effect, Chinese exports have actually increased almost 6% so far this year in volume terms, as compared to just 4.6% over the same period last year. The Chinese resiliency is remarkable considering how rapidly labor costs are rising. So fast in some areas, that some foreign multinationals are reconsidering setting up business there or at least deciding against further expanding operations. There are some companies that have even made the judgment to pull up stakes and relocate closer to their customers. This is a new phenomena for some American and European companies in particular. There is no longer the huge savings in labor expenses. If one includes transportation costs, it often makes sense to relocate production facilities closer to the home market. The slowdown in trade is creating a decline in the overall GDP (Gross Domestic Product) growth rate as well. 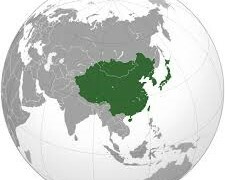 Taiwan the 5th largest economy in Asia, has already made a reduction in anticipated growth for 2015 from 3.78% to 3.28%. The government announced that this was the result of the weaker demand for the island’s products from China and elsewhere. Imports are now projected to decline a total of 8.75% in 2015, rather than an earlier estimate of 2.07%. The economy of this island nation is quite dependent on foreign trade. Exports are expected to shrink by 2.62% in 2015, which will be a major drag on the Taiwanese economy. There are big falls in demand, from both China and Japan for Taiwanese electronics. The rising value in the currency of Taiwan is a contributing factor to this phenomena. It has appreciated by more than 4% against the American dollar. South Korea reported the worst fall in exports in two years. As of April 2015, there was a 8.1% decline from a year earlier in sales across all their major markets for Korean goods. This would include China, the European Union and the United States. It was an acceleration of smaller drops that had occurred for 4 months in a row. As the 4th largest economy in Asia, South Korea also reported a plunge in imports of 17.8% from a year earlier. Of course this did swell the trade surplus from $8.38 billion USD in March, to a new record in April of $8.49 billion USD. Exports to China which is the largest market for South Korean goods dropped 5.2% last month from a year earlier. The 3rd monthly decline for this country. Sales to the European Union plunged 11.9%, while shipments to the United States only dipped 2.7% from a year earlier. If there is to be any growth in the economy of South Korea in 2015, it will have to come from internal demand. Japan the 2nd largest economy in the region, is the only country that is maintaining it’s exports markets for the time being. 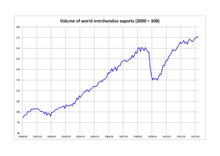 Exports actually rose in April from a year earlier (8.0%), led by shipments of cars headed to the United States. However, it was still at a slower pace than was recorded for March at 8.5%. Japanese leaders are counting on exports to drive corporations to expand business activity throughout the economy. The concern now is that slowing growth in China and particularly the United States, will bring this present demand to an end. That could well tip the Japanese economy back into recession, that the economy was in for most of 2014. Japan has just recently announced that the economy has experienced 2 straight quarters of moderate expansion. Much will depend on keeping exports humming. This explains the main reason, why Japan is interested in the Trans-Pacific Partnership. The hope is that it will open markets up even further, for Japanese exports. Despite the efforts in many Asian and European countries to stimulate economic activity by lowering interest rates to practically zero and policies of quantitative easing, global growth is at best tenuous. It will be difficult to maintain corporate profit margins, with declining growth. Therefore, new investment will flag, keeping much of the world in a state of little to no real economic expansion.